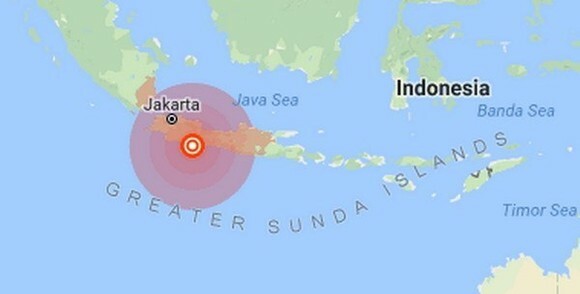 A 6.5-magnitude quake hit Indonesia’s West Java province on December 15. The US Geological Survey said the earthquake occurred at 16:47 pm GMT, which shook Cipatujah district, West Java province. Its epicentre was at 91.86km deep. There have been no report on damage and casualties in the quake. Indonesia is prone to quake as it lies on a vulnerable quake-hit zone called "the Pacific Ring of Fire."